Phil Nickless has been a major asset to the Jex business and recently celebrated 25 years’ service. Phil joined the business from Redditch conveyors during a period where local labour was being attracted in preference to travelling labour. Phil was one of the first to join from the local Birmingham area. 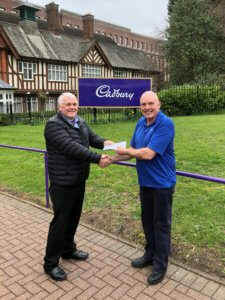 During the last 25 years Phil has worked mainly at Cadbury (now Mondelez) in Bournville during which the last 6 years has been at charge hand level. In May this year Phil will be hanging up his overalls for the final time as he retires. We wish him all the best and hope that he enjoys a long and busy retirement.